More than 500 boats are expected to compete in the Southern California Yachting Association’s 83rd Midwinter Regatta, Feb. 18-19, North America’s largest regatta. Boaters will compete at 27 California and Arizona yacht clubs, in 74 different classes and racing categories. Classes include a wide range of vessel types and categories, including one-design, PHRF, cruiser, multihull, dinghies (both inshore and offshore), predicted log and even model boats. “We plan to make the Midwinter Regatta a truly memorable kickoff to the 2012 racing season, explained Gary Green, chairman of the 2012 event. “This regatta allows individual yacht clubs to feature specific races and to give the sailors from their area the opportunity to race in a combined, quality regional regatta against the best sailors in Southern California and beyond. Arizona: Arizona Yacht Club: Lake Pleasant: Catalina 22, PHRF Spinnaker and Non-Spinnaker, J/80, Thistle, Merit 25; Tempe Town Lake: Buccaneer, Capri 14.2, Laser, Megabyte, Sunfish, Portsmouth. Santa Barbara/Ventura area: Santa Barbara Yacht Club: Harbor 20, Melges 24, J/105. Channel Islands Yacht Club: J/24, PHRF Spinnaker and Non-Spinnaker, ORCA. 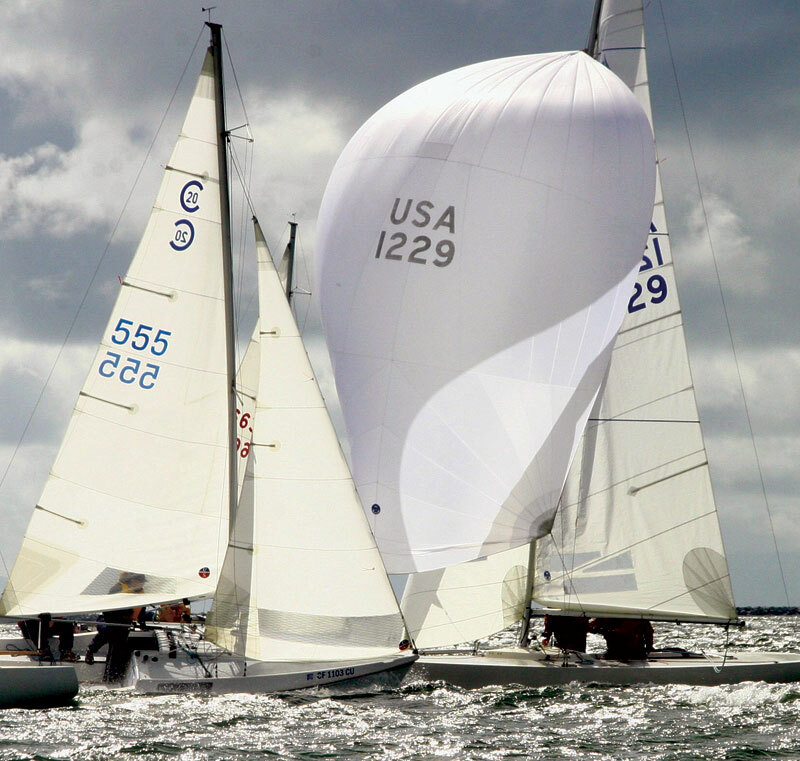 Westlake Yacht Club: C-18, CFJ, Capri 14.2, Laser, Lido 14, US Sabot (Sunday only). Santa Monica Bay area: California Yacht Club: Farr 40, Farr 30, Martin 242, Star, Open 5.70, J/80. Del Rey Yacht Club: Opti Junior: Inside: Green Fleet; Outside: Red, White & Blue Fleets. King Harbor Yacht Club: Cal 20, Multihull. Santa Monica Windjammers Yacht Club: PHRF A, B, C, Sport Boat, Cruising (Sunday only). Los Angeles Harbor/Long Beach area: Alamitos Bay Yacht Club: 505, C-15, F-18, Cal 20, Etchells, Finn, Laser Master, Viper 640, Lido 14 A and B. Cabrillo Beach Yacht Club: Mercury, Cal 20. Long Beach Yacht Club: Catalina 37, PHRF Big Boat (-3 and below), Schock 35, Cal 25, Santana 30/30, Sport Boat. Seal Beach Yacht Club: PHRF 0 and above, PHRF Non-Spinnaker. Shoreline Yacht Club of Long Beach: Predicted Log. Newport Beach/Dana Point area: American Legion Yacht Club: PHRF (0+), PHRF N/S. Bahia Corinthian Yacht Club: Harbor 20, Thistle. Balboa Yacht Club: Saturday only: Senior Naples Sabot, Laser. Dana Point Yacht Club: PHRF A, B & C, J/24. Dana West Yacht Club: Cruising/Non-Spinnaker. Lake Mission Viejo Yacht Club: Saturday only: Balboa 13, Capri 14.2, Portsmouth A and B. Newport Harbor Yacht Club: Junior Naples Sabot A, B, C-1, C-2, C-3. Oceanside area: Oceanside Yacht Club: PHRF (0 and above), PHRF NS (Saturday only), Lido 14 (Sunday only). San Diego area: Coronado Yacht Club: Flying Tigers 10, Flying Tigers 7.5, Snipe, Catalina 36, Moth. Mission Bay Yacht Club: Offshore: C-22, Flying Dutchman, Ensign, Inter 20, 29er, Hobie Cats, Laser — Under 18, Lightning, Santana 20, Soling, Thistle, Ultimate 20, Victory 21. Inshore: Buccaneer, Capri 14.2, Geary 18, Holder 20, Laser Radial, Vanguard 15, Junior Sailing Fleet. San Diego Yacht Club: Beneteau 36.7, J/105, J/109, J/120. Southwestern Yacht Club: Saturday only: PHRF (1-5). Associated Sports: Helmsman Model Yacht Club: Newport 12-Meter and Soling 1-Meter (model yachts). Silver Gate Yacht Club: Saturday only: V-32 radio-controlled boats. Classes not listed may apply to the chairman for assignment to a host club. At least three entries are required to establish a class. For more information on the Midwinters Regatta — including the notice of race, applications and official Midwinters apparel — visit scya.org.